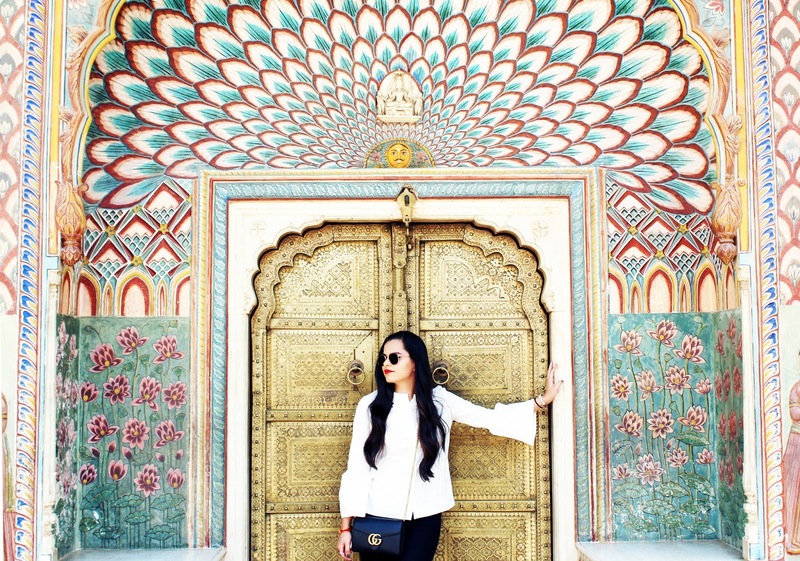 Miss Singh: WAKING UP IN JAIPUR, INDIA! WAKING UP IN JAIPUR, INDIA! For years I have been hearing so much about the beautiful historical Rajasthan, but never got a chance to go! This year for my birthday I got the chance to go to Jaipur and wanted to share the classic forts and palaces they are known for with all of you! Enjoy! Jaipur, known as the Pink City(because of the color of the stone used exclusively in the walled city), is the gateway to classic history from beautiful forts and palaces to the chaotic street bazaars. Full of hustle and bustle with little rickshaws all over the city, there are a ton of amazing spots to visit in Jaipur. I visited Amber Fort and Palace, City Palace and Hawa Mahal. As the architecture is a big part of Rajasthan I couldn't miss seeing these places. Amber Fort is located in Amer city. It is located on a high hill facing the Moatoka Lake. You can go up the hill by car or even an elephant ride which a lot of tourists do. The details of this palace are just breathtaking. From the beautiful courtyard to the ceilings, every detail screams out culture and history. It is constructed of red stone and marble which was the residence of the Rajput Maharajas and their families. It was amazing to go through each part of the palace to see what role different areas played while the Kings ruled. This fort/palace is huge and a must see! The next day I went to City Palace and Hawa Mahal. 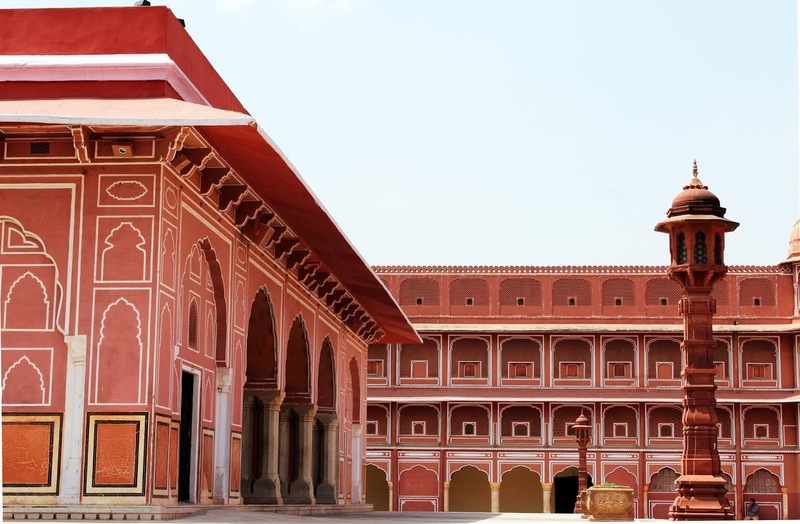 The pink City Palace is a mix of Rajasthani and Mughal architecture. The palace was constructed by Maharaja Sawai Jai Singh II. My favorite part about City Palace is located towards the palace’s inner courtyard called Pitam Niwas Chowk. Here four glorious gates represent the seasons – the Peacock Gate depicts autumn, the Lotus Gate signifies summer, the Green Gate represents spring, and finally, the Rose Gate embodies winter. Hawa Mahal, also known as 'The Palace of Winds' was constructed in 1799 by Maharaja Sawai Pratap Singh. It is a huge pink sandstone wall with windows which was built for the women of the royal household who could see the local festivals and activities in the street while being unseen by the public. The Hawa Mahal Jaipur covers 5 floors and this pyramidal structure signifies both the crown of the Hindu god Krishna and the tail of a peacock implying royalty and power. Jaipur is also known for their shopping markets like Bapu Bazaar and Johari Bazaar. These bazaars are filled with gorgeous unique and traditional jewelry, clothes, bags, and shoes. Jaipuri textiles are very famous and you can find a variety of them in the local markets for an affordable price point. These bazaars are also a destination to find handicrafts, blankets, and so much more! 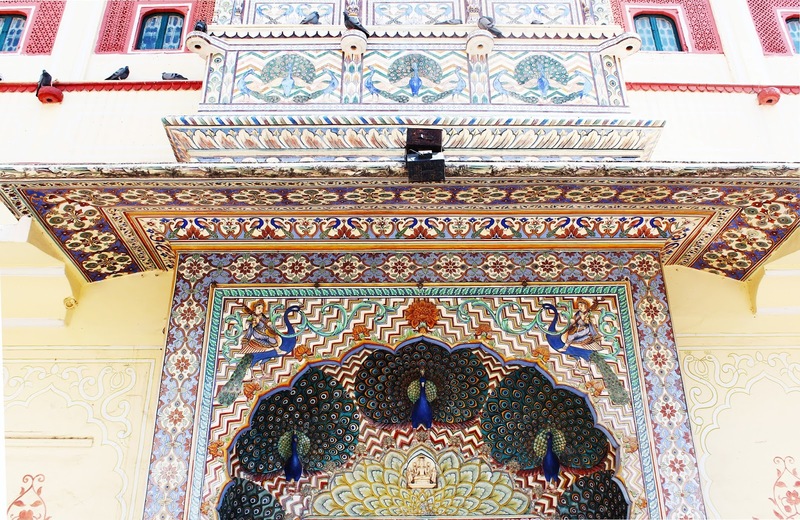 I had such a fantastic time visiting Jaipur! If you love history and want to see some amazing palaces and forts that are seriously one of a kind, Rajasthan would be my top pick in India. You can also find a ton of street shopping, delicious food and lots of culture!